In addition to Netflix's interactive Minecraft series, your little cousin's favourite videogame is also becoming a feature-length, live-action film. Unfortunately, however, the movie is going to take a little while. 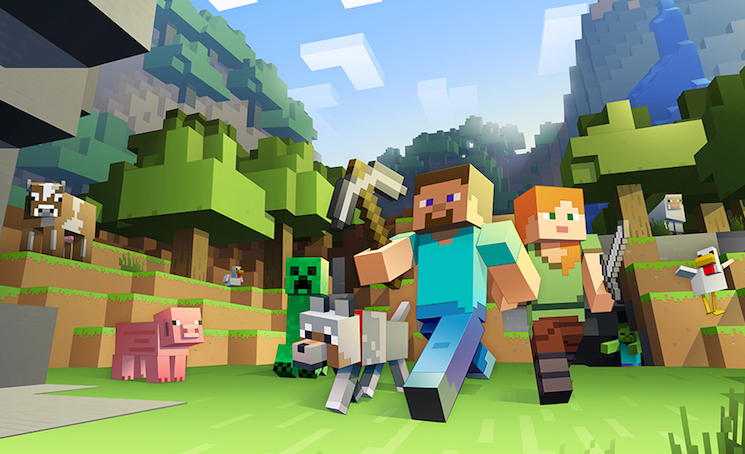 In an official post, the Minecraft team announced that its movie will arrive on March 4, 2022. The Minecraft folks are well-aware of how far away that sounds. "Does it sound distant? We beg to differ! It's only 1,053 days. Or about 34 months, or 150 weeks, or a million and a half minutes. Not that we're counting, of course. Besides, it turns out that making a live-action, full-length feature film is really complicated!" The film is being directed by Nick & Norah's Infinite Playlist helmer Peter Sollett for Warner Bros. and its official synopsis promises "the story of a teenage girl and her unlikely group of adventurers. After the malevolent Ender Dragon sets out on a path of destruction, they must save their beautiful, blocky Overworld."